Every year, the Meaford Chamber of Commerce celebrates accomplishments and efforts of the local business community with a series of Community Awards. The winners will be announced presented with their awards next Saturday at the annual Chamber of Commerce Community Awards Dinner & Presentation. Nominations come from the general public, and a committee including representatives of the public and the Chamber of Commerce selects the winners. Meaford’s Rotary Club also presents its “Citizen of the Year Award” at the event. and promotion of local attractions by a business. Presented for consistent commitment to customer service by a business. innovative products, processes and marketing channels. With some extra time on your hands in retirement, you’ll be able to enjoy your favourite activities and hobbies. But if you’re looking for more, volunteering for one of the many community clubs and organizations is a great way to give to the community, discover or enjoy new skills and passions, and meet new friends. Help out behind the scenes at the Meaford International Film Festival. Volunteer for the Meaford Hall and Culture Foundation and this is just one of the cultural activities you’ll have a chance to play a part in. Help develop trails, activities and more for the sections of Bruce Trail winding through our area, with the Beaver Valley Bruce Trail Club. Uncover and help others discover local history at the Meaford Museum. Design costumes, build sets, or take to the stage with Meaford Community Theatre. Help bring a wild and wonderful audio and visual experience to the hills of Scotch Mountain at the Electric Eclectics Festival. Cook up a storm for a community meal and gathering with the monthly Soupor Meal. Host your own television program on Rogers Cable. Identify, record and help preserve historical architecture in Meaford with Heritage Meaford, the local branch of the Architectural Conservancy of Ontario. 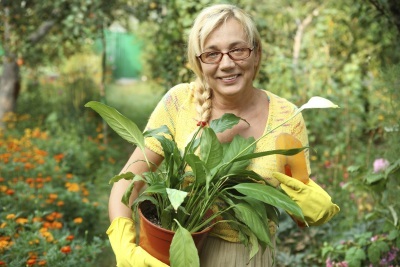 Get your hands dirty and grow a beautiful garden by getting involved with Adopt-a-garden/Communities in Bloom. Help maintain, restore and preserve an historical village church with the Friends of Leith Church. Enjoy a walk in the park (and get busy promoting and supporting it) with the Friends of Memorial Park. Help ensure the health of one of our local treasures (and the natural source of Meaford’s founding) with the Bighead River Heritage Association. Support those in need in the local community with Golden Town Outreach. Set up fences, supervise events, or man a booth at the Meaford St. Vincent Agricultural Society’s Fall Fair. If you’re looking for more of a retirement career, stay tuned. We’ll have 10 great post-retirement jobs in Meaford soon. Retirement opens up a host of opportunities to expand your activities – and a lot of retirees plunge quickly into volunteering for local groups, causes and charities. If that sounds like you, you’ve come to the right place. Your opportunities to volunteer during your Meaford retirement are many and varied. 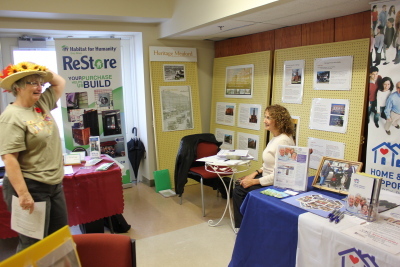 Last week, we took part in Meaford’s Volunteer Fair, held at Meaford Hall as part of the Focus on Seniors event going on there over the next few months. Twenty groups took part, showcasing what they do and how you could help. These included Heritage Meaford, the Meaford Grannies, Alzheimer Society of Grey Bruce, the Beaver Valley Bruce Trail Club, Habitat for Humanity Grey Bruce, the Rotary Club of Meaford, and Ted Brown the producer of Women and War (on tonight at Meaford Hall) and a director of local community theatre – which is always on the lookout for volunteer actors, production people, directors and costume makers. That’s just the tip of the volunteer iceberg in Meaford. Prominent boards and groups include Friends of the Meaford Library, the Meaford Museum board, Adopt-a-garden/Communities in Bloom, the Beautiful Joe Heritage Society, the Bighead River Heritage Association, and service groups beyond the Rotary, including the Lions, the Kinsmen/Kinettes and the Optimist Club. Then there’s the opportunity to coach or otherwise help out local athletics, including hockey, soccer, softball and more. One of Meaford’s community groups is experiencing great support at the moment with Kraft’s Food For Families. Golden Town Outreach, the Meaford food bank, is currently first in donations in Ontario on the site, which will donate additional funds to the winner. Every time you visit and select Golden Town Outreach, the group receives a donation of 50 cents. If you still need volunteer ideas, check out these top 10 volunteer activities for retirees. That night in 1965 he phoned 33 retired friends about joining a club of retired business and professional people. At the same time, another English Rotarian, Harold Blanchard, established the Caterham PROBUS club – the name, which combined “professional” and “business”, suggested by one of the members. “He assured us that probus was a Latin word from which ‘probity’ was derived,” wrote Blanchard. Before long the two clubs combined, and today hundreds of thousands of retirees are members of thousands of Probus clubs worldwide. As probus.org states, “Retirement can come too early for many people who want and are able to remain active.” We agree. What would you think of having a kind of employment agency for residents, operating out of the Clubhouse, that would match up skills with local needs, so you could keep active and involved with your community and earn a little money now and then? 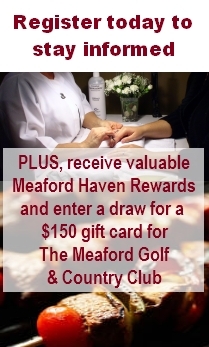 Perhaps the Business Club of Meaford Haven would offer services to the community at low rates, and both raise money for the club and pay a small amount to the “volunteer”. And the club could offer services to non-profits at no charge. We’re wondering if ideas along this line appeal to you, and whether it would be an opportunity to do the work for which you’d like to be remembered. To get involved with the virtual focus groups, sign up.